AFOHS Club Gym is equipped with the latest health and fitness machines. 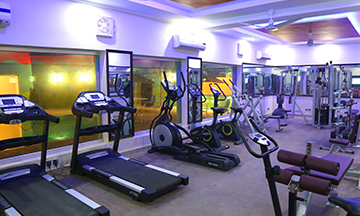 The Gym would be supervised by qualified and professional trainers who prioritize personal attention while designing fitness programs suited to individual needs. 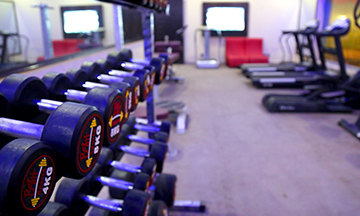 The Gymnasium has now become the major activity center for whom fitness is an important part of life. Our Gymnasium Program would also provide nutritional products, dietary guidance and weight loss programs. We have planned separate gym timings for ladies to avail the facility. 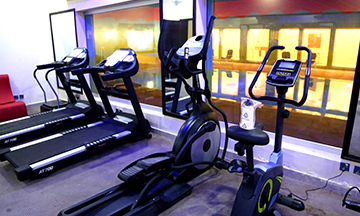 We are offering state of the art cardio equipment including heavy duty treadmill machines and magnetic exercise cycles. In addition to our equipment we are planning to offer “Personal Training” and senior fitness classes. Classes for aerobics, yoga and martial arts by trained and qualified instructors are also to be held several times a week.